Announcing Our Redesigned dockXtender Cables! 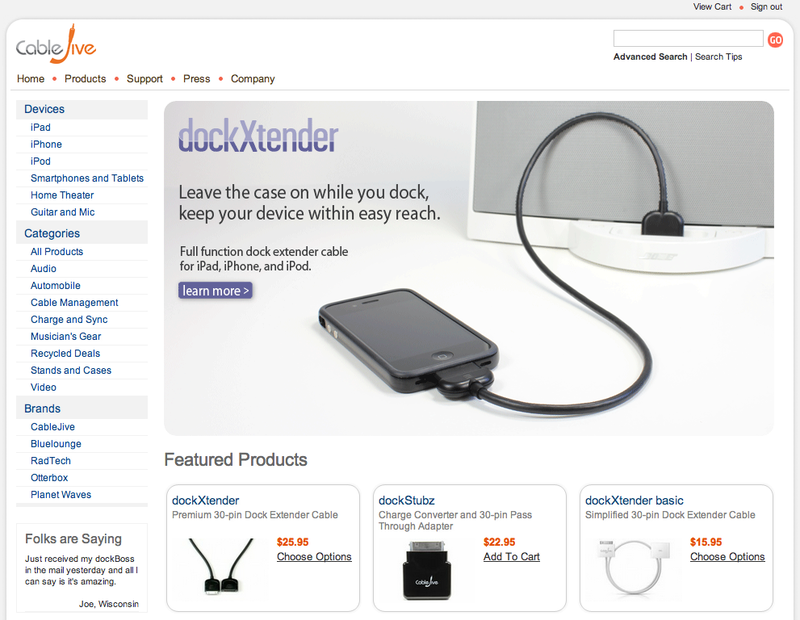 Today is an exciting day, as we are announcing our new and improved dockXtender cables! Officially the 3rd generation model since we introduced the classic Dock Extender Cable back in 2007, our patented new design features better cabling, improved internals, and our classic 2-tiered shielding system. Hands down, it’s our best dock extension cable yet! But that’s not all! Most importantly, these new cables feature a totally redesigned male connector, which allows this new dockXtender cable to work with all cases, covers, & skins on the planet, including (but not limited to) the popular Apple Bumper, Lifeproof, and Otterbox cases! These brand-new cables are available now, in 2 foot and 6 foot lengths. Same price, better cables! Get the extra length you need, and don’t ever take your case off again! Get yours now! 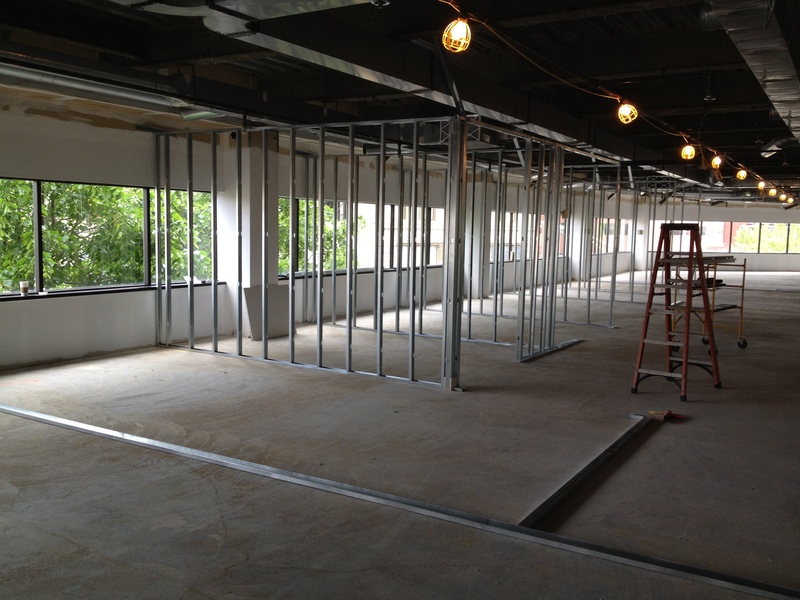 New CableJive HQ Under Construction! 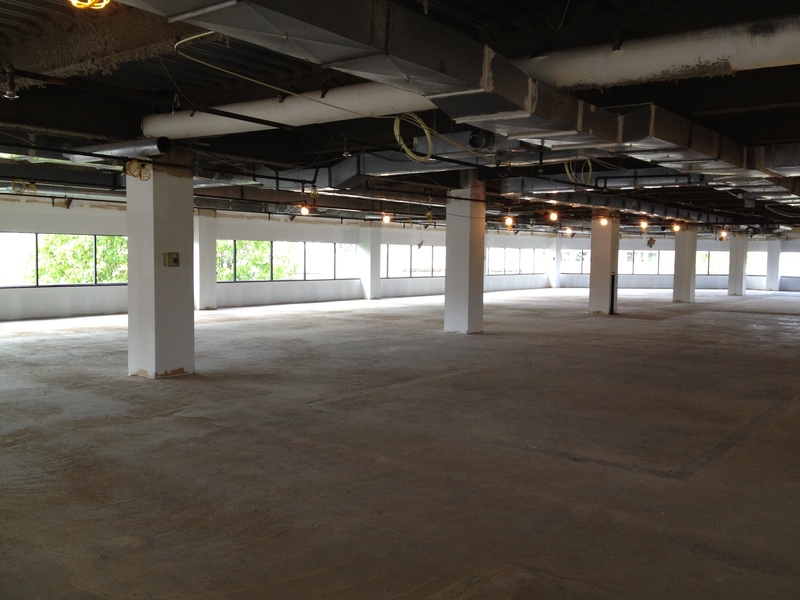 After much deliberation, we’re thrilled to announce that we’ve selected the location for our new offices! We’re staying within the lovely confines of Malden MA, and moving from our current space at 380 Pleasant St. right down the road to 350 Main St. We’ll be getting a great, brand new space on the 3rd floor. So new in fact, that it’s not even built yet! 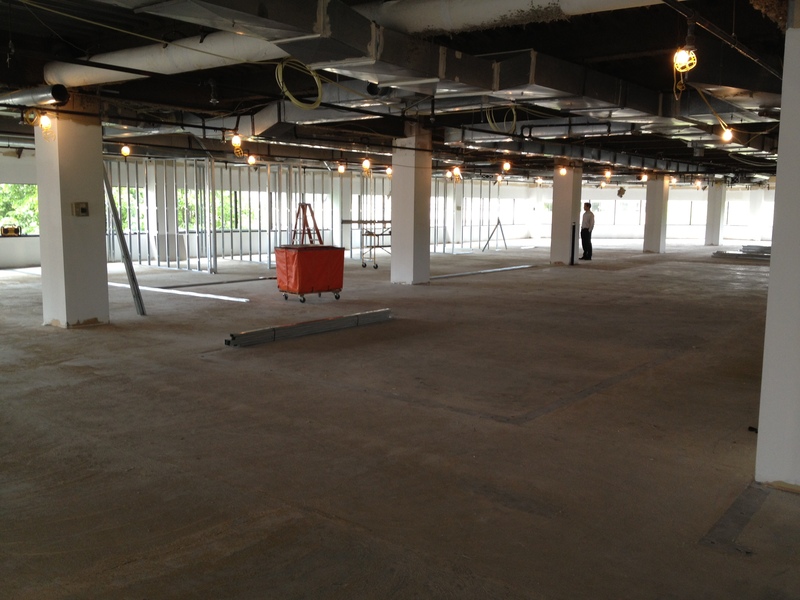 Stay tuned for progress updates as the new HQ comes together, and of course, the all-important move in date! First, and most importantly, we’ve added support for mobile devices. Previously, cablejive.com would display on mobile devices like iPads and iPhones just fine, until you wanted to checkout. Mobile checkout was unfortunately not supported on our old website, which wasn’t doing us or our customers any good. Thankfully, the new cablejive.com comes equipped with a fully-functional mobile site & shopping cart. It’s never been easier to get the mobile accessories you need, wherever you are! Second, if you look at the navigation over to the left of the page, you’ll notice a host of new options to choose from. We’ve reworked our categories to be much more helpful to our customers. Now, you can shop by device, product category, or brand, making it easier to not only find what you’re looking for, but also to clearly see other products that might be useful to you. If you haven’t seen the new cablejive.com for yourself yet, check it out and tell us what you think! We’re quite confident that our new website should be working just fine, but anything is possible. If you have any issues at all, please let us know via email at service@cablejive.com and we’ll be happy to help. Our Recycled Deals program is the easiest way to score huge savings on great re-certified CableJive products; and as of today there’s some new additions to the bin! Now, for the first time, we’re bringing the dockBoss and dockBoss+ cables into the mix. It’s never been cheaper to transform your standard iPod docking station for use with Android devices, Windows phones, Blackberries, Laptops, Netbooks, TVs, or any other audio output device. But remember, as with all our Recycled Deals, available products and quantities can change daily and without warning. Once they’re gone you never know when they’ll be back, so get yours now and save, before the bin empties! New to CableJive: Planet Waves Instrument & Mic Cables! We had some great guitar-related discussions with people at CES 2012. That combined with the early success of our ProJive Instrument and ProJive XLR cables has given us good reason to consider adding in more musician-centric products. We want to provide the best, and most useful products to all you musicians out there, so we’re always open to your thoughts and suggestions. If there’s anything you’d like to see added in, let us know at service@cablejive.com.